Photos from my two week trip to China. 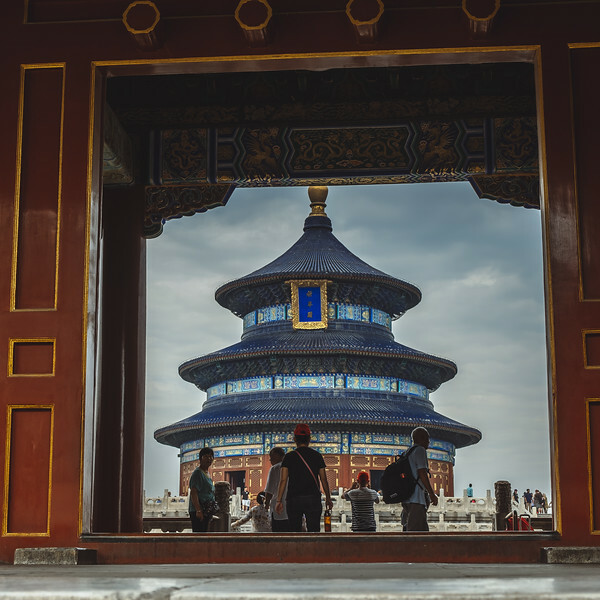 The Temple of Heaven Park is located in the Chongwen District, Beijing. Originally, this was the place where emperors of the Ming Dynasty (1368 - 1644) and Qing Dynasty (1644 - 1911) held the Heaven Worship Ceremony. It is the largest and most representative existing masterpiece among China's ancient sacrificial buildings. First built in 1420, the 18th year of the reign of Emperor Yongle of the Ming Dynasty (1368 - 1644), it was enlarged and rebuilt during the reigns of the Ming emperor Jiajing and the Qing emperor Qianlong.